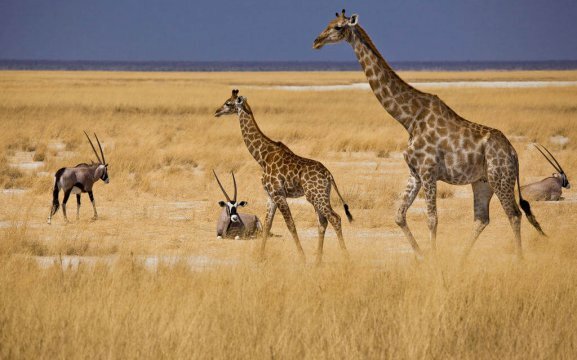 The Mokuti Etosha Lodge is a 5 minutes’ drive from the Lindequist gate on the eastern side of the Etosha National Park. 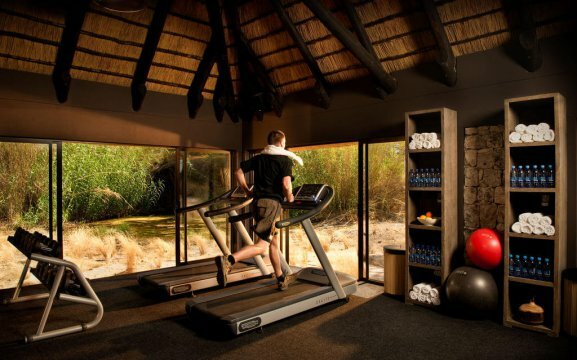 It features 2 restaurants, 2 outdoor pools, 2 floodlit tennis courts, and a full-service spa and gym. 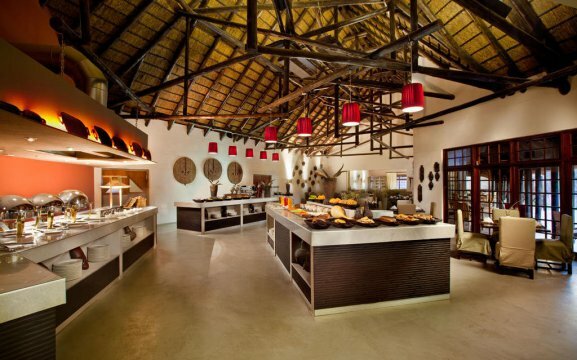 In the restaurants, we serve free buffet breakfast, while dinners are either a buffet or three course menu. 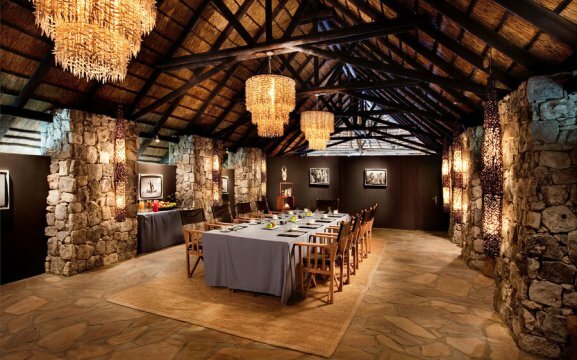 At our African Boma, we have a huge fireplace where braai is being served on certain nights. Guests can enjoy a refreshing drink and a la carte snacks at our Pool Bar & Terrace. 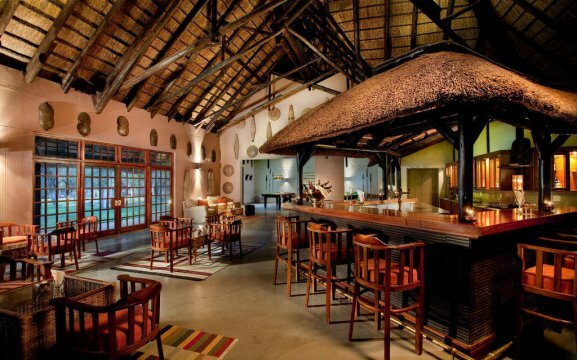 Our Marula Bar & Lounge has an open fire-place for the cooler winter evenings and a spectacular view over the gardens. Enjoy a round of pool in the Billard Room. Guests are welcomed by a cool, green oasis upon arrival. 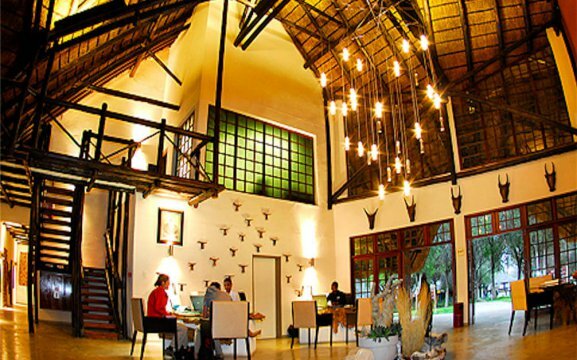 Mokuti Lodge has delightful thatched buildings throughout and beautiful green gardens. “Mokuti” is an Ovambo word and means “in the forest”. 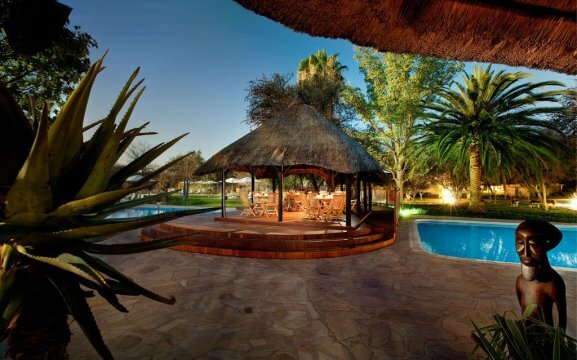 Mokuti has 106 Rooms, which include Standard, Luxury and Luxury Family Rooms. 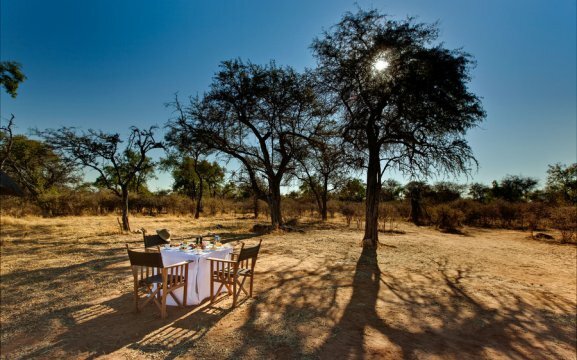 Each unit is decorated in beautiful Namibian crafts and bright fabrics. 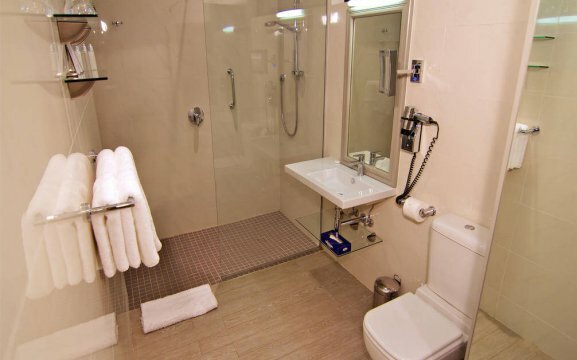 All rooms include en-suite bathroom with shower, air-conditioning, electronic door locks, hairdryers, safety deposit box, telephone, LCD television with 8 satellite TV channels, tea/coffee facilities, minibar and free Wi-Fi. 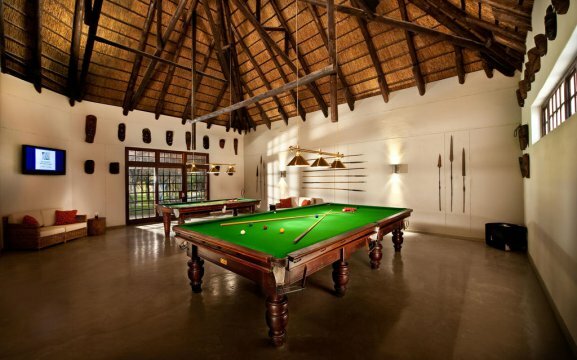 Our activities include game drives, sunset dinners, tennis court and billiard room. We have a souvenir shop that sells local crafts, for those that would like to bring something home. 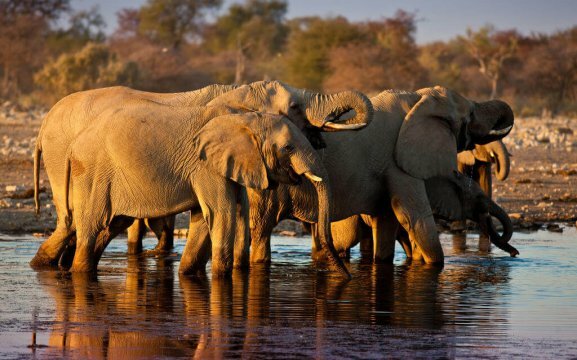 Our game drives are in open safari vehicles into the Etosha National Park, with its various types of wildlife species, from morning til the sun sets. 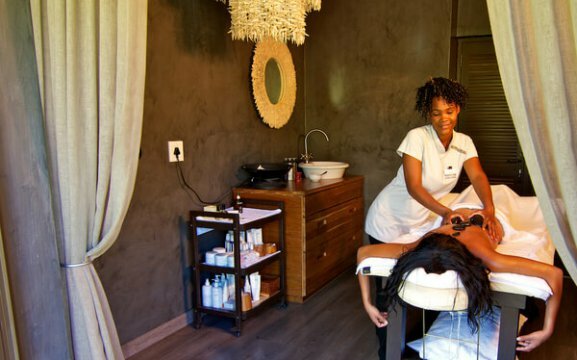 Our Spa provides utter relaxation, quiet and tranquillity. Here we have a wide range of massages and treatments, which lets you experience the rebirth of your body and letting go off daily stress. We also have a Jacuzzi. Mokuti also has a fully equipped fitness studio for the more muscular. 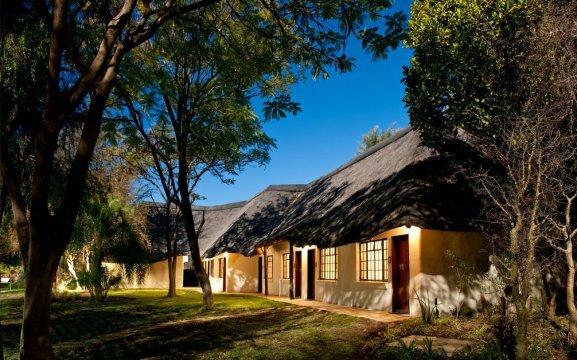 Mokuti Etosha Lodge is the ideal location to plan your wedding or a conference. 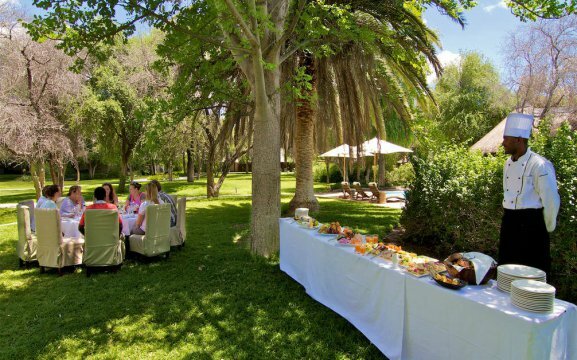 We offer all groups a choice of venues, such as the Kraal Bushbraai, which accommodates up to 120 people , the Rock Room with set menu dinners which accommodate up to 50 people , the African Boma exclusive with a braai which takes up to 80 people and our Garden-buffet which can take 80 people. For Team Building or Meetings we have a choice of three rooms – the Oshoto and the Onduno conference room and the Rock Room for groups ranging from 25-130 people. We also offer two further dining areas for up to 120 people. 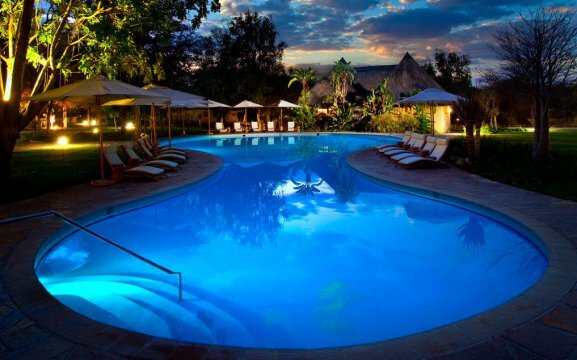 If you plan on travelling to Windhoek make sure you stay at the beautiful Midgard Country Estate. Travelling to Swakopmund? Make sure you stay at our beautiful Strand Hotel. 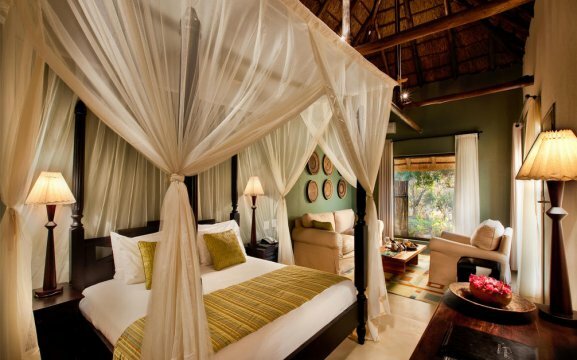 Heading to the Zambezi / Caprivi make sure you stay at our magnificent Chobe Water Villas.